During a wedding, the bride’s look, always under the critical eye of all the guests. Must continually come to terms with the speed and dynamism of the succession of fashions. You thought you had found a bridal gown that was perfect and perfectly placed among the seasonal trends. But then after a few months, you see another one even more innovative and in step with the times. The same thing goes for make-up and hairstyle, which change continuously adapting to the trends of the moment. And sometimes it seems really impossible to show off a sophisticated and fashionable look. 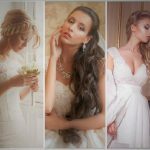 But there are some everlasting bridal hairstyles , real timeless evergreens and always in vogue that you will never stop loving. Let’s see them together! 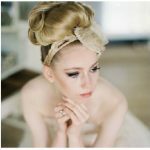 Without a shadow of a doubt is one of the bridal hairstyles for long hair preferred by modern women. But not only! Think that in West Africa as early as 4000 BC they used to wear finely braided hair as a status symbol of the tribes and. 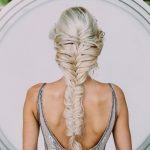 Although with a different meaning, even today the braid is one of the most coveted hairstyles both by young fashion victims and by women more adults with a deeply nostalgic soul. 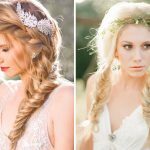 There are so many variations of this famous hairstyle: French braid, Dutch, boho or chain style … you are spoiled for choice! For a country-chic style wedding, you can create a refined side bridal hairstyle by weaving your hair in a graceful way. And then adding fresh flowers or small soft-colored clips. If instead, you want to show an ultra-modern hairstyle and absolutely in line with the current trends. Bet everything on extra-long braids, even better if enriched by elaborate sophisticated and high-class weaves! 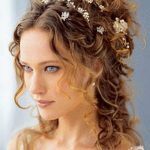 It is one of the best hairstyles for the wedding. In the collective imagination, it is known as the typical hairstyle of ballet dancers. But today it is considered one of the most elegant and practical hairstyles to wear in any circumstance. What is it about? Very elegant chignon! It is one of the best hairstyles for the wedding. 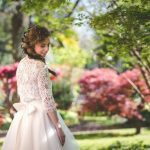 Over the years it has been influenced by the succession of fashions and trends of various kinds and today even a bride can elegantly show it off in different variations. Perfect for all future brides with long and very smooth hair, the high. And pulled chignon ensures a sophisticated and absolutely noble effect. Just as aristocratic women in ancient Greece wore it. 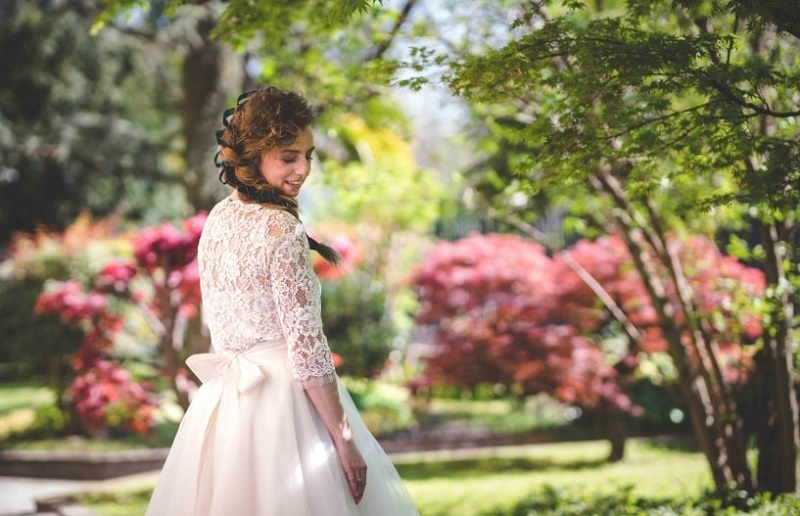 In the soft version and with locks of hair that glide to the sides of the face, it is ideal for embodying the slightly bucolic and shabby mood that is so loved by brides today. 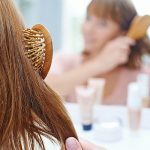 Do you have wavy or slightly wavy hair? Then this is the hairstyle for you! Loose or rigorously collected? If indecision haunts you and you still haven’t managed to choose how to comb your hair for your wedding day, remember that a happy medium is certainly the ideal solution! It is one of the best hairstyles for the wedding. 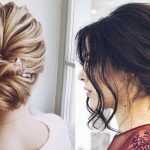 Among the endless possibilities of semi-picked bridal hairstyles we suggest the half-tail, always in vogue and also much loved by the celebrities of the moment. Its simplicity of realization means that the half ponytail is that simple but very elegant hairstyle, perfect for all future brides who prefer a practical and comfortable style. Collect only the upper part of the hair, stopping it with some pretty little comb or fine hair clips and letting the lower part slide freely along the back, it will give you a romantic and refined air, far from being demodé or antiquated! A bit like the princesses of the beloved fairy tales wear long hair that falls softly framing your face. And so, even for your big day, you have decided not to give up this characteristic that distinguishes you and to show off a splendid bridal hairstyle for loose hair that enhances your image! The hair left free to sway in the wind always represents a vision of freedom and lightheartedness, but how do you go about having a sophisticated appearance and worthy of a real bride? First, don’t limit yourself with accessories! Headbands and crowns are the best allies to enrich and give value to a hair that is already wonderful in itself. You can find lots of them on the market, with beads, small rhinestones or glitter. But if you want something really unique why not make it yourself? It won’t be difficult! Get yourself a lot of pearls, diamonds and other items that you can easily find in haberdashery: you will create a precious and incomparable object, only and uniquely for you! 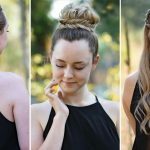 Wedding Hairstyle: How to choose and save?